Here is the list of the hotels near Houdilcourt. Book your hotel near Houdilcourt today, Wednesday 15 May for the best price, reservation and cancellation free of charge thanks to our partner Booking.com, leader in on-line hotels reservation. Below here is the list the 50 closest hotels of Houdilcourt, sortable according your criteria. You will find the position of these accommodations on the Houdilcourt hotels map. Located in Reims, 200 metres from Les Hautes Promenades and less than 1 km from Subé Fountain, The Absolute Center of Reims offers free WiFi. 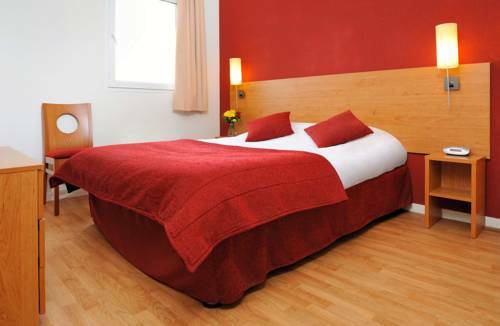 The accommodation is an 11-minute walk from the Reims Opera. The apartment is equipped with 3 bedrooms, a flat-screen TV and a fully equipped kitchen that provides guests with a dishwasher, an oven, and a washing machine. The apartment offers a terrace. Parc de la Patte d'Oie is less than 1 km from The Absolute Center of Reims, while Pierre Schneiter Garden is a 12-minute walk away. The nearest airport is Châlons Vatry Airport, 72 km from the property. Situated right in the centre of Reims, Reims-Escapade provides accommodation with city views, just 400 metres from Les Hautes Promenades and 600 metres from Subé Fountain. The property is 700 metres from Reims Opera and private parking is provided. The apartment consists of 4 separate bedrooms, 1 bathroom with free toiletries and a hair dryer, and a seating area. The kitchen comes with a dishwasher and an oven, as well as coffee machine and kettle. The apartment offers a terrace. Popular points of interest near Reims-Escapade include Church of Saint-Jacques, Notre Dame Cathedral and Parc de la Patte d'Oie. The nearest airport is Châlons Vatry Airport, 71 km from the accommodation. Located in Reims in the Champagne - Ardenne region, Zen et Chic has a garden. This property is 700 metres from Subé Fountain and features free WiFi. This apartment is equipped with 2 bedrooms, a satellite flat-screen TV, and a kitchen with a dishwasher and a microwave. The apartment offers a terrace. Fishing can be enjoyed nearby. Reims Opera is 700 metres from Zen et Chic, while Les Hautes Promenades is less than 1 km away. The nearest airport is Châlons Vatry Airport, 71 km from the property. Located opposite the Colbert garden, Golden Tulip Reims l'Univers is 850 metres from the Notre-Dame Cathedral of Reims. The soundproofed rooms are equipped with cable TV and are serviced by a lift. Paid public parking is available near the property. Guests of the Golden Tulip Reims l’Univers can enjoy seafood in the hotel’s restaurant, Le Spark. There is also a fine selection of wines from the Champagne region to accompany your meal. Golden Tulip Reims l'Univers is located 250 metres from the SNCF train station and 200 metres from Place Drouet d'Erlon. It is an ideal base to discover the region’s champagne houses including Pommery, Mumm and Taittinger. Reims Exhibition Centre is 750 metres away. Guest accommodation Reims Preferred hotel ! Located a 15-minute walk from Reims Train Station, B&B Hotel Reims Centre Gare boats free WiFi and facilities for disabled guests. Every room at this hotel is air conditioned and is fitted with a flat-screen TV with cable channels. Every room comes with a private bathroom. Free WiFiis featured in each room. Buffet breakfast is available every morning at an extra charge. Facilities such as a 24-hour front desk and vending machines are featured at B&B Hotel Reims Centre Gare. Reims Convention Centre is a 15-minute walk from B&B Hotel Reims Centre Gare, while Reims Exhibition centre is a 15-minute drive from the property. 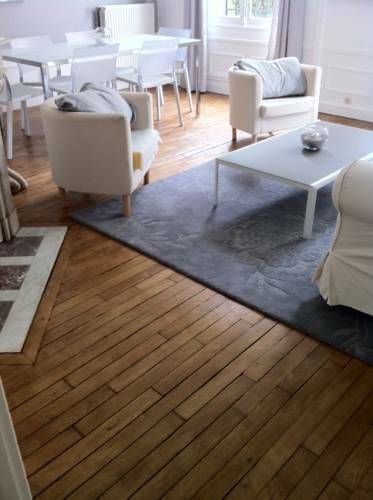 Located in the centre of Reims, Residhome Reims Centre is just 200 metres from the train station and offers a 24-hour reception and laundry services. The Reims Champagne convention centre is a 10-minute walk from the property. All studios feature a flat-screen TV, safety deposit box, wardrobe, desk and a bathroom. The kitchenette includes a stove, refrigerator and microwave. A breakfast is available each morning at Residhome Reims Centre. Guests can also grab a quick snack or drink from the on-site vending machines. The famous Reims Cathedral is a 15-minute walk away and the fine arts museum is just over 1 km from the aparthotel. Free Wi-Fi is available throughout and private parking is possible on site at an additional cost. There is also a parking space for bicycles. Hotel The Originals Reims Le Bristol (ex Inter-Hotel) is located in the heart of Reims, 750 metres from the Notre-Dame Cathedral and 300 metres from the Reims Train Station. Set in a 19th-century building, it offers a 24-hour reception and en suite rooms with free WiFi access. The rooms are equipped with a minibar and a flat-screen TV. A welcome tray with tea and coffee facilities is provided. The en suite bathroom features a hairdryer and some rooms also have a balcony. A buffet breakfast is prepared every morning. L'Edito café is open daily for lunch, serving a variety of set menus. Hotel The Originals Reims Le Bristol is 1 km from exit 23 of the A4 motorway and public parking is available nearby. Reims Convention Centre is 650 metres away and Reims Exhibition Centre is a 12-minute drive from the hotel. Located on the Place Drouet d’Erlon in the centre of Reims, Hotel Centre Reims sits opposite the train station. The hotel provides a 24-hour reception and free WiFi access throughout. Reims Champagne Congrès is located 800 metres away. It offers rooms with a flat-screen TV, a telephone and a private bathroom with a bath or a shower and a hairdryer. A buffet breakfast is served daily from 06:30 to 10:00, and until 10:30 at the weekend. The partner restaurant of the hotel, Les 3 Brasseurs, serves traditional cuisine and is located on the ground floor. Just 750 metres from the Cathedral and the Musee des Beaux-Arts, the Hotel Centre Reims is an ideal base to discover the Champagne region. Below here is the hotels map of Houdilcourt. Names and details of Houdilcourt hotels can be shown on the map clicking on the prices icons.